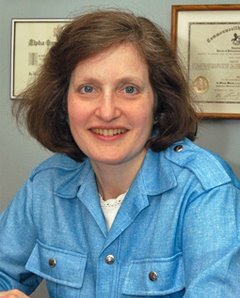 Read this letter from a happy patient to Dr. Judith Okun! I am writing to thank you for suggesting that I bring my children to you for “electric medicine” treatments following their wisdom tooth extractions. It clearly worked like a charm to alleviate a great deal of the swelling, pain and discomfort that they had to endure. Although my oldest two children had all four teeth extracted at the same time, they came directly to your office for treatment and experienced minimal swelling and discomfort for a few days. I was still a little skeptical that the treatments actually worked until my youngest daughter had her teeth pulled recently. The first tooth was pulled in August and I was unable to bring her to your office from the surgeon’s. The swelling and pain from this one tooth was extreme and lasted more than a week. After the other three teeth were pulled this past December we took no chances and came directly to your office. She used the “electric medicine” for the prescribed time and had no swelling on one side and minimal swelling on the other. Within a few days she was completely comfortable with no signs of the surgery. We are all now firm believers in this method that noticeably speeds the healing process. My children used it whenever you adjusted their braces over the years and I can confirm that this “medicine” really worked. They never complained about pressure from their braces and the treatments definitely healed cuts in their mouths right before our eyes. I am no longer skeptical in the least because this last success was not one that could be explained away by the power of suggestion. We saw and felt the results. I cannot thank you enough for all your wonderful work and sage advice.